Newcastle-based Connected Energy’s innovative battery storage system has been given a competitive boost after receiving specialist input from a support programme designed to help north east companies to develop electricity grid-related technology. Connected Energy worked with UK grid experts Narec Distributed Energy to achieve the latest G99 compliance for its innovative E-STOR battery system. The support came as part of the Grid Connection Support Series, a programme run by the Offshore Renewable Energy (ORE) Catapult designed to provide business support for companies seeking to grow and innovate across grid-related products and services. With more renewable energy power entering the grid, combined with the phasing out of old generators, companies with technologies that meets the latest standards are better prepared for the complex requirements of the modern grid. 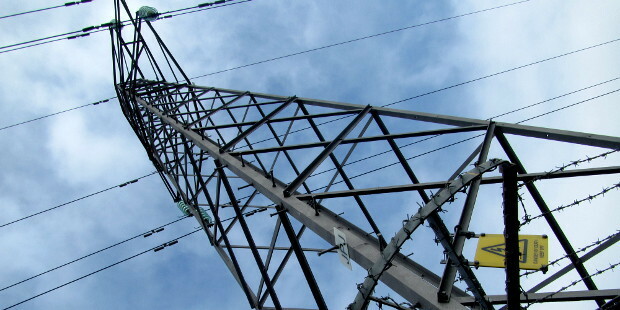 Part funded by the European Regional Development Fund (ERDF), the free-to-access Grid Connection Support Series will run until 2020, providing masterclasses, innovation challenges and direct business support to better prepare the UK supply chain for future grid connection challenges. For more information on the Grid Connection Support Series, visit https://ore.catapult.org.uk/stories/egrid/. ORE Catapult was established in 2013 by the UK Government and is one of a network of Catapults set up by Innovate UK in high growth industries. It is the UK’s leading innovation centre for offshore renewable energy and helps to reduce the cost of offshore renewable energy, supporting the growth of the industry and creating UK benefit. The Offshore Renewable Energy (ORE) Catapult is upgrading its research infrastructure through the installation of a grid emulation system, named ‘eGrid’, located at the National Renewable Energy Centre in Blyth, Northumberland. The project is part funded by the European Regional Development Fund 2014-2020. As a result, the Grid Connection Support Series, incorporating the Future of Energy Systems Masterclasses, is offering business support services and assistance to UK SMEs seeking to grow and innovate in grid connection products and services, at no cost to participating companies. 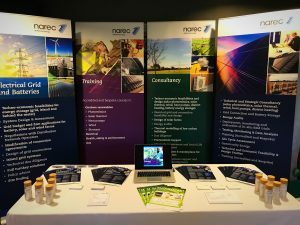 Narec Distributed Energy is an organisation specialises in providing technical consultancy and training within the areas of grid connection, battery energy storage technologies, energy efficiency and onshore renewable energy. www.narecde.co.uk. A developer and supplier of energy storage systems which are now active across Europe, Connected Energy is unique in having a world leading technology using second life electric vehicle batteries – a sustainable solution with global applications. The project allows for an upgrade of research infrastructure by the installation of an electric power converter system, eGrid. eGrid provides a platform for electrical power quality research and testing in a controlled environment in Blyth. NDE have secured a contract with five North East local authorities to identify energy efficiency solutions that will help over 250 SMEs across the region cut energy costs. NDE will be delivering the Business Energy Savings Team (BEST) project to support SMEs across Newcastle, Northumberland, Gateshead, North Tyneside and Sunderland identify and implement energy saving improvements. Rising energy costs are a significant issue for businesses of all sizes, operating in all sectors. The BEST project will provide a fully-funded energy audit, designed to identify ways to save energy in day to day business operations, saving money and cutting carbon. A grant fund for around 100 SMEs will also be available to help cover the costs of improvements. The project aims to achieve reduction of greenhouse gas emissions from SMEs of 1,000 tonnes CO2e. Formed as an independent company in 2012 – following a spin out from the UK National Renewable Energy Centre – Narec DE has since carved a reputation as an industry leader in renewable energy, grid connection and training. Based in Blyth, Narec DE specialise in a range of renewable energy and grid connection activities including bespoke training, strategic consultancy, feasibility and design services. The company was formed with the aims of reducing carbon emissions, alleviating fuel poverty, improving energy security and stimulating economic growth. Narec Distributed Energy is a commercial renewable energy/energy efficiency/energy storage company based in Blyth (www.narecde.co.uk). The BEST project is part-funded by the European Regional Development Fund and the project partners Gateshead Council, Newcastle City Council, North Tyneside Council, Northumberland County Council and Sunderland City Council. Is the Export Tariff the same as the Feed in Tariff? In the Export Tariff funded by taxes? So, is the Export Tariff a subsidy? So, what does the government want to do? Under EU rules, probably not, so it depends on the Brexit deal as to if the government is allowed to do this. But doesn’t this only effect rich homeowners? I heard on BBC File on Four people get a 12% rate of return on solar installation investments. But still, it only effects rich homeowners with cash to spare right? No, the solar industry in 2015 employed 36,000 hard working people. Since various anti-solar policies came in, this has dropped to maybe 15,000 people. These are direct jobs, there are additional jobs supported, such as scaffolds. The loss of the Export Tariff will result in thousands more job losses. Also, as well as supporting many small British companies, solar is used by social housing landlords, hospitals, schools, community energy projects and a range of other organisations. But the government is supporting solar in other ways? No, from the “solar tax” element of business rates, making the grid connection process more complex, reducing the Feed in Tariff by random large amounts (sometimes illegally), and also removing rules to have renewables on new build, the solar industry has not had a positive experience of government policy. But the UK is really dark anyway, surely solar doesn’t make much electricity? In 2018, on a sunny summer day at midday solar generated up to 27% of UK electricity. The UK has 12GW of solar. Why is the Export Tariff removal happening? Leading renewable energy specialist, Narec Distributed Energy (Narec DE), is working with the UK’s Offshore Renewable Energy Catapult (ORE Catapult) to host a free workshop focused on providing expertise on connecting renewable energy and battery technologies to the electricity grid. Taking place on Thursday 20th September at ORE Catapult’s world class testing facilities in Blyth, the workshop is open to businesses, SMEs, sole traders and researchers operating in the field of storage, smart grids and renewables. The event is designed to help delegates understand and avoid various problems related to connecting various systems to the grid, and is primarily designed as a Q&A session. Delegates are encouraged to bring questions with them based on problems they are experiencing within their own schemes. Topics to be covered include grid codes and the coming changes next year, common issues and the best ways to work with Distribution Network Operators. One of Narec DE’s major specialities is in the grid connection of wind, solar and battery farms, and it has provided services for a range of SMEs, large companies and local authorities over the past seven years. Currently, Narec DE is working on the grid connection of several >50MW battery farms. This workshop is being run as part of the eGrid project, a European Regional Development Fund (ERDF) project that has enabled ORE Catapult to install one of the world’s most advanced Grid Emulation Systems at its centre in Blyth. One of the North East’s leading renewable energy specialists, Narec Distributed Energy (Narec DE), will be providing full funded accredited training to electricians, plumbers and heating engineers on Solar PV, solar thermal and heat pumps to enable installers to meet requirements set out in the Microgeneration Certification Scheme (MCS). Based in Northumberland, Narec DE is the only company in a 100-mile radius to provide the nationally accredited courses, educating installers on how to safely and efficiently install low carbon technologies. The company is providing free training, on behalf of New College Durham, fully funded by the European Social Fund to help companies and individuals adhere to industry standards. Taking place at Narec DE’s renewable energy training centre in Blyth the training courses are available to sole traders and SMEs. Set up like a concept house, each room has a different type of renewable energy technology – such as Solar PV, Solar Thermal and Heat Pumps – giving trainees a real hands on training experience. The courses cover regulations, principles of the technologies and the installation and maintenance of renewable energy technologies, allowing any suitably qualified electrician, plumber or heating engineer to diversify into low carbon technologies. “We are delighted to be offering our many years of expertise in the renewables industry to enable more companies to embrace new technologies and in return reap the benefits whilst also playing a role in helping to build a sustainable environment. Offering training services for seven years, Narec DEs specialist courses are accredited by LOGIC and EAL, giving those who complete the course an industry recognized qualification. These certified qualifications are accepted by the nationally recognized quality assurance scheme, MCS. The technical courses on offer have been developed in compliance to both LOGIC and MCS requirements. The MCS is an eligibility requirement to receive green energy financial incentives offered by the government such as the Feed-in Tariff and the Renewable Heat Incentive. Established in 2012, Narec Distribution Energy was started by the UK National Renewable Energy Centre. Narec DE is an organisation that offer strategic, technical and training services within the renewable and low carbon sectors, focusing on the built environment. The purpose of the work is to reduce carbon emissions, alleviate fuel poverty, improve energy security, stimulate economic growth and educate energy users about renewables. We can also now offer group bookings in the following courses…. Contact: training@narecde.co.uk or call 01670 357638 for further information. UK based renewable energy firm, Narec Distributed Energy (NDE), has announced it will now accept the renewable energy based SolarCoin cryptocurrency as payments for solar training courses. There are two purposes behind NDE’s decision to accept SolarCoin, the first is that anyone who generates solar electricity may have SolarCoins, the second is that by accepting SolarCoin, this helps establish the cryptocurrency, hopefully helping the value stabilise. NDE’s acceptance of SolarCoin follows on from the ACWA Power’s recent announcement they have registered to receive SolarCoins. The course provided by NDE which can be paid for with SolarCoin is the LOGIC accredited Level 3 Solar PV Installation and Maintenance. This course fulfils part of the requirements for Microgeneration Certification Scheme registration, and is open only to qualified electricians. Currently, the value of SolarCoin is too low to make a meaningful impact on the economics of solar, but a modest increase from the current value of £0.36 to a value of £50/MWh could have major implications for the economics of solar. NDE will accept the equivalent in SolarCoins on the day of payment as the cost of the course in GBP. At the time of writing this means a course will currently cost over a thousand SolarCoins. Hopefully with future increases in SolarCoin the cost of the courses in SolarCoins will decrease. The training courses are run whenever there is demand for them, people interested in attending courses should contact NDE on training@narecde.co.uk or 01670 357 638. NDE will accept SolarCoins from the 14th February onwards. Narec Distributed Energy (NDE) is offering 100% funded accredited heat pump training courses to North East based heating engineers, training them to install and maintain this renewable energy heating system. NDE is an independent company based in Blyth, Northumberland. The training courses available include the aforementioned installation of heat pumps, heat metering and some of the plumbing prerequisite courses. 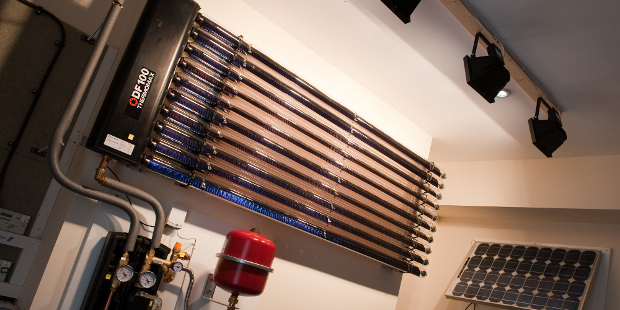 As well as heat pumps, other courses on offer include solar thermal heating, and photovoltaics. With the forthcoming increase within the Renewable Heat Incentive, it is expected that there will soon be a skills shortage in qualified heat pump engineers, and this is an ideal time for North East companies to take advantage of funded training to gain a foothold in this new market. The Air Source Heat Pump industry has never been stronger with the increase in RHI looming along with increased oil prices and public awareness constantly growing. 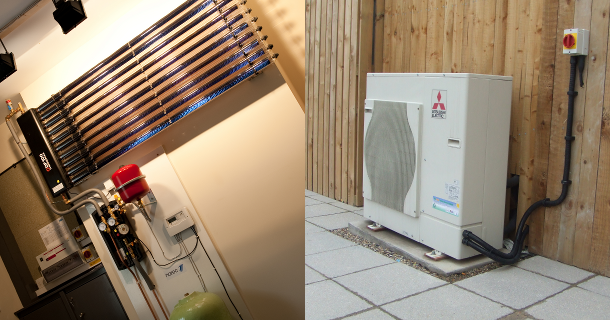 The appetite to be less reliant on fossil fuels and become greener is a big factor in home owners and landlords moving towards Air Source Heat Pumps, even in what traditionally would be classed as “on gas” areas. Financially it makes perfect sense to switch which is seeing the market grow at a healthy rate. The bottleneck to this growth will be trained engineers qualified to install products. The funding is being provided by the European Social Fund (ESF) and co-financed by the Skills Funding Agency (SFA). To be eligible, a company must be based in the North East LEP area (Northumberland, County Durham or Tyne & Wear), be a sole trader or SME (under 250 employees and under £40 million turnover), and be undertaking the course for the first time. The European Social Fund (ESF) is the European Union’s main financial instrument for supporting employment in the member states of the European Union. Narec Distributed Energy is once more offering fully funded accredited renewable energy related training courses at our training centre in Blyth, Northumberland. This will enable heating engineers and electricians, as well as existing renewable energy companies, to upskill their staff. 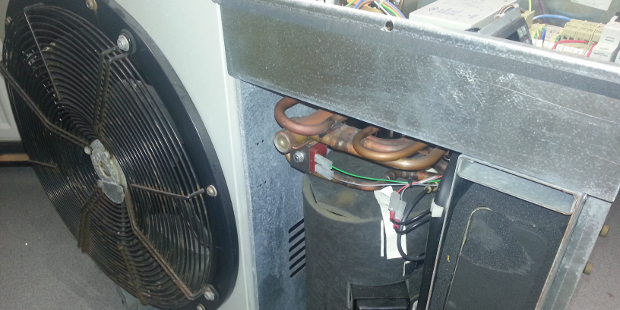 Of particular interest for many is the heat pump training, as increases in the Renewable Heat Incentive are causing a skills shortage within this industry. All installation and maintenance courses can be used by operatives or individuals looking to join the Microgeneration Certification Scheme. To enrol on a course, please contact Narec Distributed Energy on training@narecde.co.uk or 01670 357 638. * An SME is a company with less than 250 staff, an annual turnover not exceeding 50 million euro, and/or an annual balance sheet total not exceeding 43 million euro. Narec Distributed Energy are throwing open their doors to the public at their training centre, in Blyth on Friday 3 July from 13:00 to 15:00 as part of a UK-wide celebration of solar energy. Local plumbers and electricians are welcome to come and see demonstration solar thermal and photovoltaic training rigs, and talk through how they could upskill to become solar installers, growing their businesses and helping others generate clean, home-grown electricity. Narec Distributed Energy train hundreds of installers every year and recently trained 130 renewable energy installers under a funded project in Sunderland. A series of Solar Independence Day open days are taking place across the country on Friday 3 and Saturday 4 July, led by the Solar Trade Association. The open days include a housing estate in Northumberland, a farm building in Perthshire, a community solar farm in Hampshire and a further education college in Edinburgh. The theme of the event, solar independence, follows the Solar Trade Association’s publication just a few weeks ago of its ‘Solar Independence Plan for Britain’, which sets out how the new Conservative government can take steps to ensure that British solar can beat fossil fuels on price and without subsidy as soon as possible. The trade body’s analysis shows that by using funds more efficiently this government could double the amount of solar energy in 2020 for very little extra money. Members of the public are welcome to register to attend the open day on the Solar Trade Association’s website. To attend the event, please email training@narecde.co.uk. Members of the press are welcome to attend. The Renewable Heat Incentive (RHI), set up to support renewable heat generation in the domestic sector, is now up and running and is offering tariff payments for supported technologies. In order for systems to be RHI compliant, installations must be made meter-ready and in most cases, applicants will require metering for payments to the system owner. This new qualification is aimed at all staff involved in the selection, positioning or installation of heat meters in accordance with MCS and RHI Metering Guidance. It covers the knowledge and understanding of the requirements for metering renewable heat installations, including how to select, position, install and commission heat meters and components. The qualification has been designed and led by industry, including the Department of Energy and Climate Change (DECC), Ofgem, Beama, Hetas, Summit Skills and MCS. Not only were NDE instrumental in the creation of this course, but the NDE Renewable Energy Training Centre in Blyth is the first training centre to be accredited for the delivery of this course. If you are interested in attending the course, please contact NDE on 01670 543 006 or training@narecde.co.uk. If you are a sole trader or work for a company based in Sunderland or the Tees Valley, NDE may also be able to offer you 100% funded places on this course for a limited time. This standard is intended to help with the design and installation of solar heating equipment for domestic hot water (DHW). First published in 1980, it has been substantially rewritten and updated by a dedicated team of solar industry specialists, including Narec Distributed Energy. It is especially intended to cover “ad-hoc” systems which typically represent UK practice, where the solar collectors and storage components are chosen from several providers and assembled on site, rather than a complete assembly from one source. Guidance is provided on controls, solar storage volumes, predicted solar energy gains, legionella risk assessment and installation practices. Narec Distributed Energy are providing a range of fully funded renewable energy training courses for businesses based in North East England. Training includes industry standard courses on the installation and maintenance of technologies (photovoltaics, solar thermal, heat pump and biomass), introductions to technologies, and community energy courses. The courses are offered to small-medium sized businesses (<250 employees) and sole traders. The training is funded through a combination of the “European Regional Development Fund”, the “European Social Fund”, the UK Government’s “Skills Funding Agency” and some other sources. 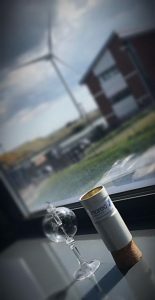 The funding is handled regionally in three sub-regional projects by Sunderland City Council, Hartlepool Borough Council and Northumberland County Council’s subsidiary company Business Northumberland. Different courses are offered based on where each company or sole trader is based. Courses are available for Northumberland, Sunderland and Tees Valley postcode based businesses, who meet a set of eligibility criteria. The sustainable business growth of Narec Distributed Energy has been secured through a Regional Growth Fund (RGF) grant. Arch, The Northumberland Development Company, in conjunction with Northumberland County Council was awarded £11.75m from the Government’s Regional Growth Fund (RGF) to deliver the programme that provides financial support to businesses across Northumberland to encourage the creation of new sustainable jobs and the safeguarding of existing jobs. Narec DE carry out a wide range of work within the renewable and low carbon sector, particularly within the built environment. Through our work we help our customers reduce carbon, alleviate fuel poverty, improve energy security, stimulate economic growth and educate energy users. We achieve this by providing a range of strategic, technical, testing and training consultancy services to clients both in the public and private sectors. The RGF grant of £39,078 has been used to help create a new job and safeguarded another. The new SME Engagement Coordinator role aims to substantially increase training activity, while the safeguarding of a Project Engineer role will allow the continued development of Narec DE’s testing services. “The RGF grant has already started to have an impact, training revenue next month is forecasted to be more than it was for the whole of last year. Testing has also taken off, with a major commercial test ongoing. We are also waiting to hear back on a number of proposals, including a Horizon 2020 bid.”. Business Northumberland offers established and start-up businesses in the county free support in reaching their full growth potential. It is a free service that provides business advice and support to anyone thinking about starting a business in Northumberland, and also offers business coaching to existing businesses with growth ambitions. Business Northumberland is jointly funded by Arch, The Northumberland Development Company, Northumberland County Council and the European Regional Development Fund (ERDF). The event will look at a number of different areas within renewable energy including an introduction to energy and government policy, legislative issues and a brief summary of financial incentives and more. Some of the technologies covered include photovoltaics, solar thermal, head pumps, wind energy and anaerobic digestion. As well as an overview of renewable energy, attendees will also be given an overview of the support available for their customers who convert to renewable energy such as the Feed in Tariff and Renewable Heat Incentive. Three years ago, The Whiteburnshank Trust approached Narec DE to investigate high running costs for their outdoor education centre; an old shepherd’s cottage located in the heart of Kidland Forest. This centre has an off-grid electricity system with 24V battery bank, a 2.5kW wind turbine, 6 x 150W PV modules and a 10kW diesel generator for back up. Our recommendations at the time included more regular maintenance of the battery cells and generator, more efficient use of electricity (including better user awareness) and potentially charging per-unit to reflect the very expensive costs of diesel genset charging. Additional PV was an option, but at the time considerably expensive. Three years on, with the development of the PV market, PV module costs have fallen dramatically to the region of £0.50/Wp and The Trust reconsidered extra PV. The original PV system uses modules designed for battery charging which are now increasingly difficult to source and very expensive compared to those designed for grid connected systems. Narec DE recommended fitting around 2kWp of ‘grid market’ PV modules connected to the existing battery system using a max power point solar charger to regulate the output to the batteries. We worked with a steel fabrication company (Life Engineering in Washington) to design tilted racks to mount the array. Due to the sloping site, the modules are arranged in groups of three rather like a stepped terrace of housing. Each unit is wired as a series string, with the resulting approx. 100 volts DC fed to the battery room via armoured cable. Soon after connection, in a clear sunny cloud break, the system delivered impressive results, with a charging current of 70 amps delivered to the batteries and an indicated power of 1850 Watts. This is double the current delivered to the batteries by the generator so should help improve the battery state of charge considerably. Whiteburnshank has been lived in for many years and is one of only three farms that remain in use in the Kidland forest today. In 1993 the Whiteburnshank Trust was set up to provide a centre for young people in the county. The trust is responsible for developing and maintaining the centre and is made up of a small committee of volunteers who manage, maintain and try to develop and improve the centre. It is non profit making and has only a small working income which just covers costs and routine maintenance. Further information, and booking enquiries, can be found at http://www.whiteburnshank.org.uk. Available 365 days a year, the cottage is ideal for groups and is used Scouts, guides, D of E, school groups, bona fide organisations etc. Many properties in the Upper Coquet valley and other remote rural areas of Northumberland do not have access to grid electricity. This can present real problems for residents in terms of the extra cost of alternative power sources which is invariably diesel generators for electricity, and in the more remote areas this presents additional problems of cost, noise and delivery access for bulk diesel delivery. The problem is quite widespread and a recent petition to Northumberland County Council to invest resources in studying the issue attracted over 450 signatures . 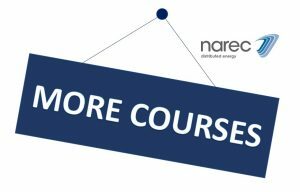 Delegates can receive up to 75% off the cost of Narec Distributed Energy’s LOGIC solar thermal and heat pump training courses, under a scheme funded by the Department of Energy and Climate Change. Narec Distributed Energy Training Centre has been accepted as a registered training centre for the Department of Energy and Climate Change’s £650,000 RHI Training Support Scheme. This fund is aimed at raising the skill set of domestic heating engineers to enable them to install and maintain renewable heating systems. The RHI Training support scheme provides vouchers worth 75% of the cost of the training and assessment, up to a maximum of £500 per voucher. Up to 5 employees per organisation can take advantage of the vouchers. 100% of the cost is covered for apprentices on the scheme. Narec Distributed Energy Training Centre is an approved QCF training course delivery centre, allowing our delegates to achieve internationally recognised qualifications in renewable and low carbon technologies. QCF Level 3 training in Heat Pump, PV and Solar Thermal installation. Under the RHI Training Support Scheme, delegates can receive funding for our LOGIC accredited Solar Thermal Hot Water Installation and Heat Pump Installation and Maintenance courses. To take advantage of the scheme, delegates can register on the RHI Training support website for vouchers at http://www.rhitraining.co.uk/ and then contact Narec Distributed Energy Training team on 01670 543006 or email training@narecde.co.uk to book a course. More details on the courses can be found on the solar thermal hot water system installer course heat pump installation and maintenance pages of the Narec Distributed Energy website. Currently, tenants moving into properties that have photovoltaic (PV) and Solar Thermal (ST) systems, may not be receiving any advice on how to get maximum benefit from them. As a result, an opportunity to reduce tenants’ fuel bills and help alleviate fuel poverty is being missed. Up until now the available relevant training courses have tended to cover one technology and are aimed at technical trades such as installers; or they are informal, manufacturer-led courses that are insufficiently structured or developed to be of use to Housing Association staff. In order to bridge the gap in the market, Narec Distributed Energy, in conjunction with Your Homes Newcastle (YHN) have developed a new bespoke one day training course. It is targeted at tenant liaison officers, to dramatically improve the quality of advice given to tenants about these systems. The course focuses on empowering tenants to maximise the savings they can make on their energy bills by understanding and properly using the systems. 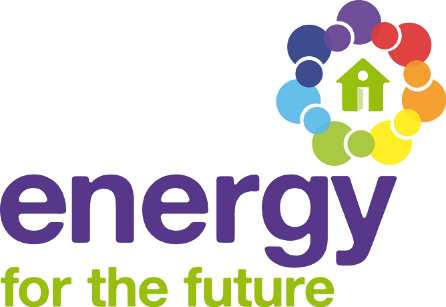 Working with YHN’s Energy for the Future program, the new course ‘Getting the most out of Renewables in Social Housing’ has been developed, independent of any manufacturer bias. It was trialled in October 2013 at the Ballast Hill Training Centre within the Narec Technology Park, in Blyth, with staff from Your Homes Newcastle, Energy Services at Newcastle City Council and the Fabrick Group. Attendees were introduced to the renewable technologies most utilised in social housing and provided with useful, practical information on how these systems are most efficiently used. Delegates received a CPD certificate along with training materials for future reference. The course provided the tenant liaison officers and housing officers with both the knowledge and confidence they need to offer high quality energy advice and guidance to tenants.